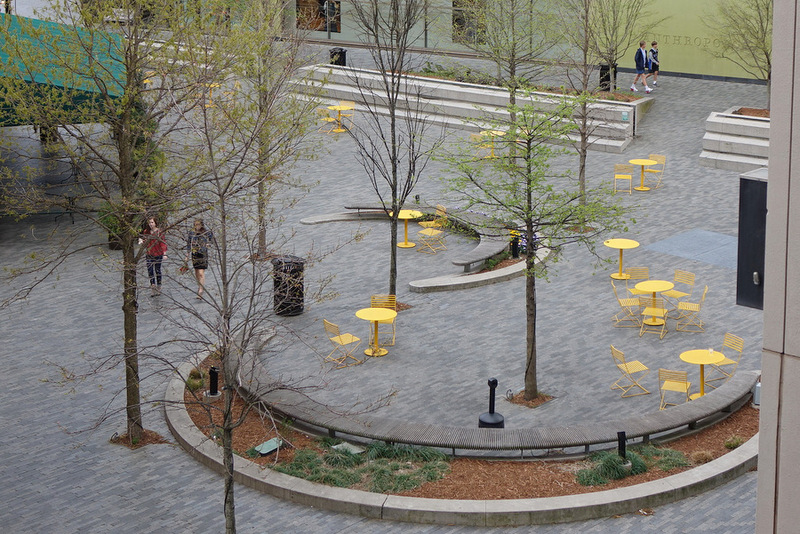 The yellow tables in One City Plaza provide a nice accent to the green tree leaves which are just beginning to emerge here. It is a very windy and somewhat cool day so no one is sitting at the tables. This is theme day on City Daily Photo – click to see other interpretations of the theme yellow from all over the world. Those colours do grab one’s eye. They certainly do brighten up the area!